Last night saw us ringing in the new year surrounded by hubby's life long friends. Everyone brought a potluck/appetizer. My corn fritters were a hit, thank goodness. We ended the night with some sporadic fireworks in the back garden and a smoked out house. Too bad Miss C fell asleep at eleven o'clock and could not be woken up for love or money. It's the first day of the new year and it's time for a new kit reveal. Anna Griffin is known for her floral patterns and she designs everything from invitations and cards to fabric. 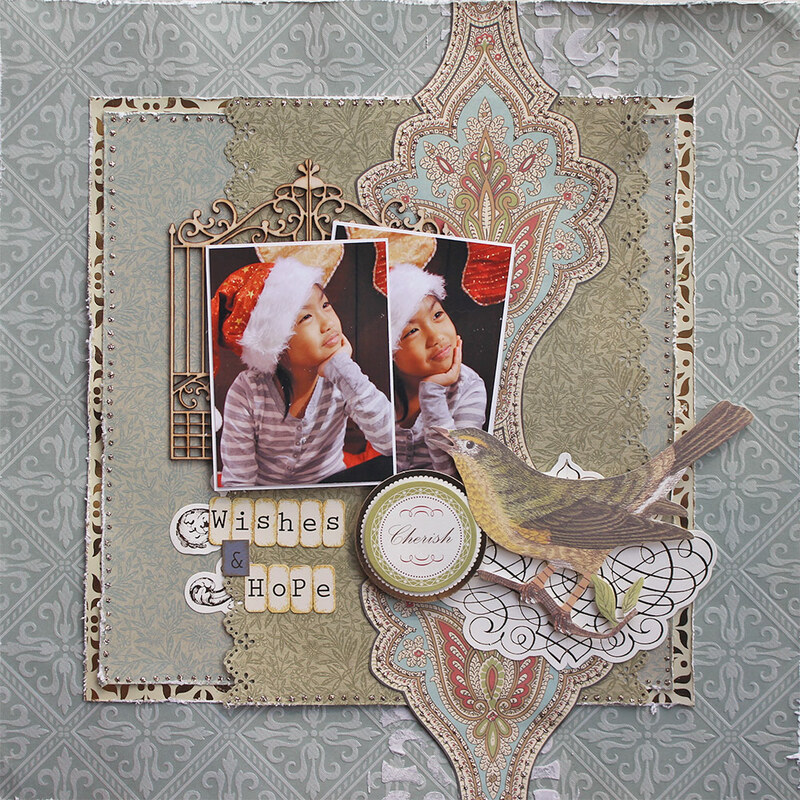 This January kit is full of wintery blues and greens and metallic gilding with elegant damask and floral patterns. 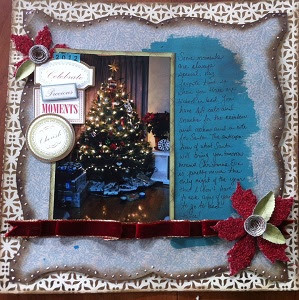 Such a wonderful compliment to your Christmas and holiday layouts. Here are my two layouts. I do apologize for the photo quality. I only have my phone with me on this trip as the battery on my DSLR decided to discharge on the way over. I love this photo of my Jake cat with the Christmas lights in the background. I've yet to capture a photo of him looking at the camera - he just won't do it despite all the coaxing. I used these papers for the December MCS sketch challenge, although I did rotate the sketch around to suit my photo orientation. 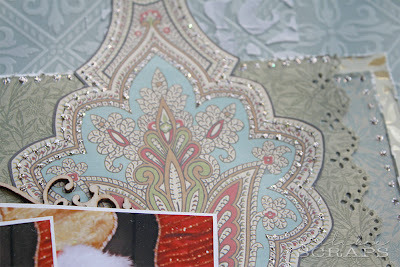 I love the details on the blue damask paper. 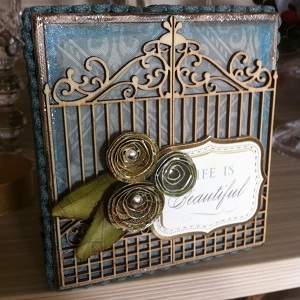 The die cut embellishments add amazing details to the layout. I love the clock and the word stickers. I added some Prima trinkets to the underside of the bow, stuck down with glue dots, so they can still dangle. 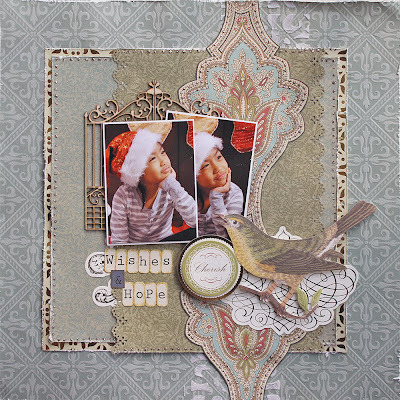 I love the Prima resist canvas. 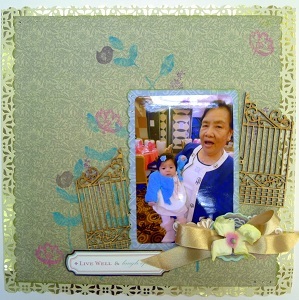 I rubbed on gold and silver distress stain to give it a mottled look. The black/white pattern paper is actually packaging from a Prima mask. 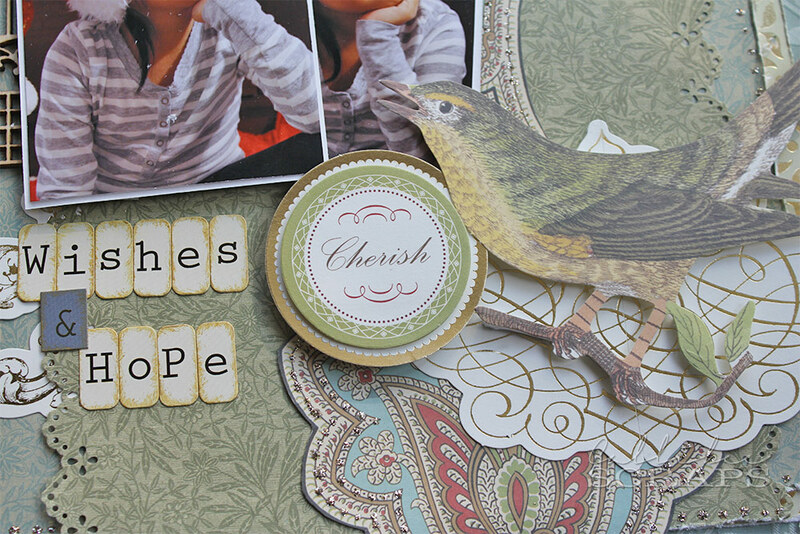 I took these photos in 2011 for a kid's class layout and wanted to reuse them with these papers. The layout was inspired by another that I saw on the Webster's Pages blog. 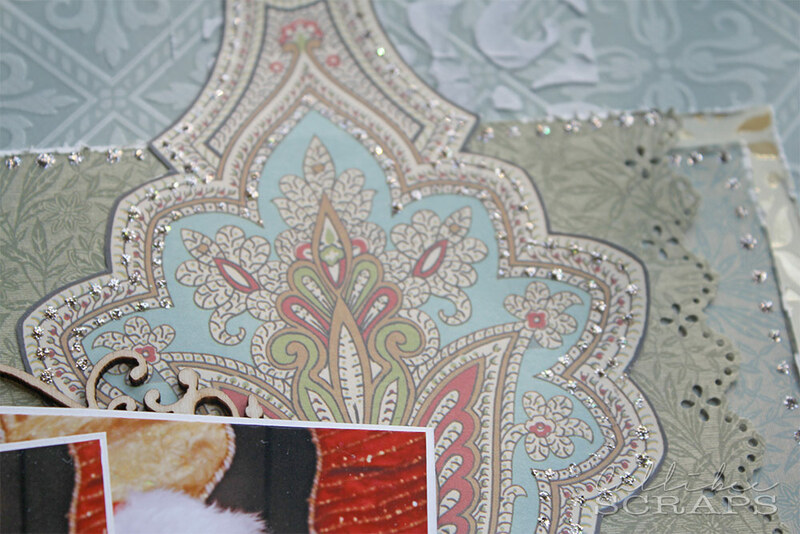 The reds and golds in the photos work well with the damask pattern strip and the golds and silvers of the other papers as well. 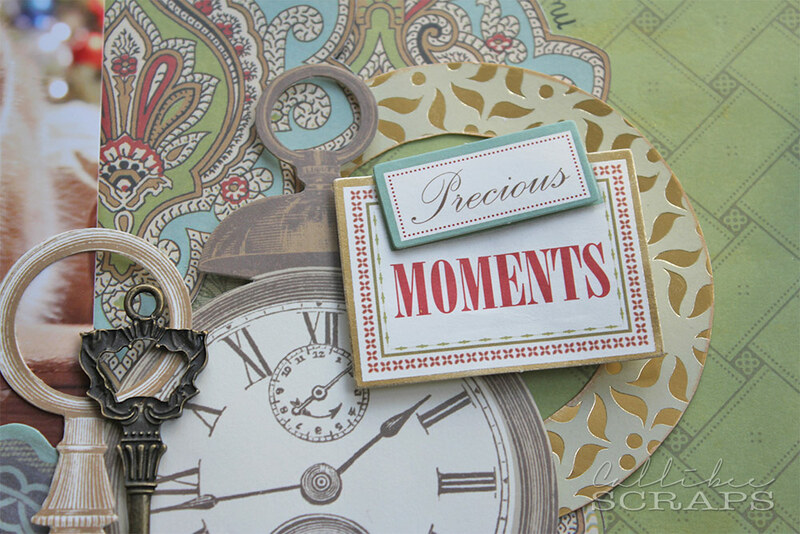 The blue background paper has a lovely embossed finish that adds to the textures of your layout. 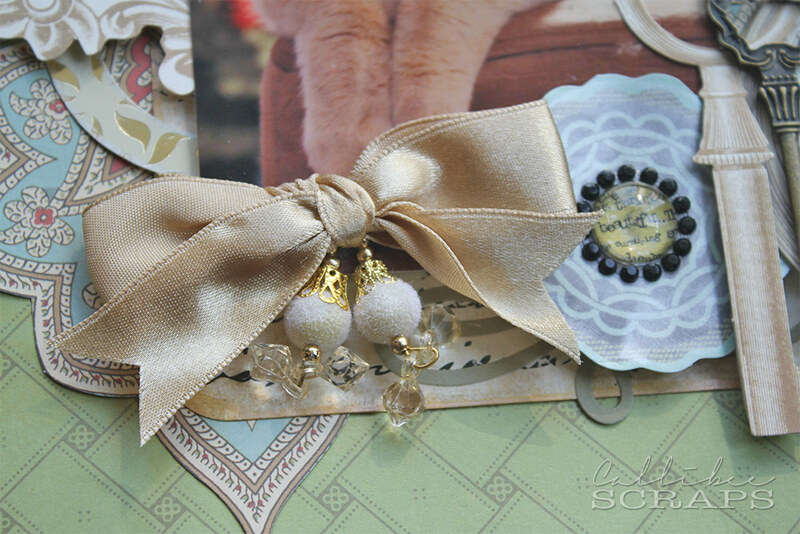 Don't you love the gold gilded elements? I also love the bird. He had to go in there somewhere. 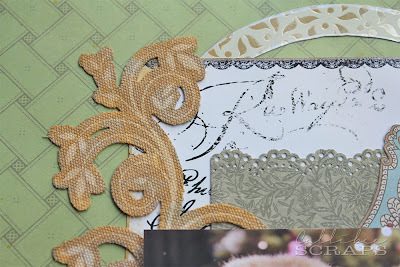 I outlined some of the papers and patterns with the Stickles. It's really shiny and glittery in real person. And some other layouts and projects from the rest of the team. Hope to see you at one of the crop sessions. Two more days left in England, then we fly home. Miss C starts school again on the 7th and I will have a cake order to fulfill as soon as I get back, plus I'll have to create something for my January classes, which I wasn't able to complete whilst on holiday. Hopefully, I'll be able to show that to you soon. That's it for me from the UK. I don't think I'll be posting again until I get back home. We've had a whale of a time over here and my sister in-law and family are saints for putting up with us for so long, but after two weeks, I'm starting to miss my Jake cat, the flat and all my things around me. Miss C is a homebody like me and she loves nothing better than to be surrounded by her own belongings as well. See you back in Hong Kong. I love these layouts, Grace. Happy new year!!! I love them all. Great paper line to work with. Oh wow, Grace! 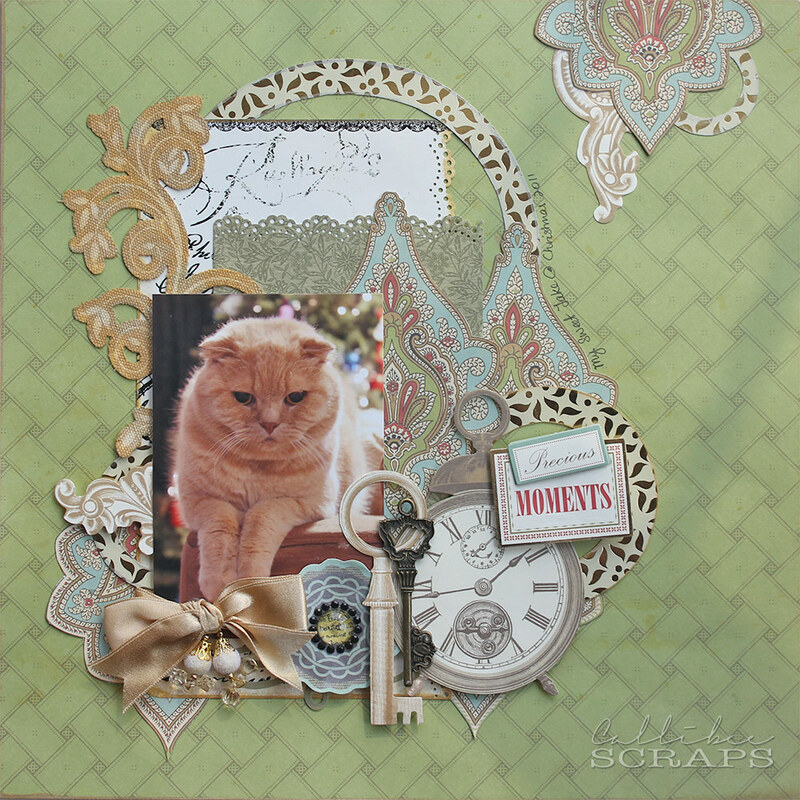 Your layouts and projects are absolutely beautiful! I love each and every one of them. Your work is so creative and very, very pretty! 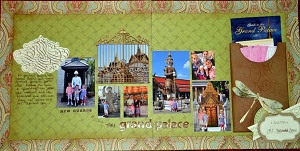 And I want to thank you for visiting my blog the other day. Happy New Year!!!!! Thanks so much for your comment Sharon.Happy New Year to you too. Beautiful take on the sketch! Thanks so much for playing with us at MCS! Such pretty projects! Love your take on the sketch and your choice of embellishments! Thanks for playing along with MCS! Love the photos on the wishes and hope layout! Great work!